An episode for all members of the wealth management community—from those at wirehouse firms to independent business owners. Mark Tibergien, the CEO of BNY Mellon Pershing Advisor Solutions, shares his thoughts on the momentum towards independence, the evolving advisor mindset, what it takes to run a successful practice and much more. There are few people whose knowledge of the wealth management industry can match that of Mark Tibergien—so to have access to this award-winning thought-leader, author and CEO is fortuitous. Mindy sets the stage for an intense dialogue with Mark about the state of the industry, the independent space and what lies ahead for captive and independent advisors. The key differences between captive and independent advisors—and how the desire to become a “true” fiduciary is driving advisor sentiment and movement towards independence. The fundamental changes in the role of the advisor—an evolution from product-advocate to customer-advocate. The evolved role of the custodian—and how it’s grown beyond just asset custody. A look at the RIA space—and the most compelling features that will influence growth and asset flow in the future. The real risk profile of independence—and what advisors need to be aware of before they decide to make the leap. How the business of financial advice has changed—3 key questions that firm owners need to ask themselves. How to build an “enduring” firm—and why planned obsolescence should be a goal of every firm founder. Options for independent firm owners looking to access capital—understanding the real cost of selling equity. What succession planning really means—and where there’s opportunity to create transferable value. Mark Tibergien is Chief Executive Officer of Pershing Advisor Solutions, a BNY Mellon company. Pershing Advisor Solutions is one of the country’s leading custodians for registered investment advisors and family offices. Mark is also a Managing Director for Pershing and a member of its Executive Committee. In addition, Mark was named to BNY Mellon’s Diversity & Inclusion Advisory Council to the CEO. 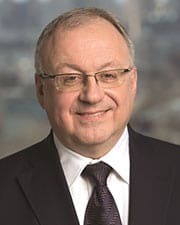 Prior to joining Pershing in 2007, Mark was a principal at the accounting and consulting firm, Moss Adams LLP, where he was partner-in-charge of the Business Consulting group, chairman of the Financial Services Industry group and partner-in-charge of the Business Valuation group. Previously, he was president of a nationally recognized bank and business training and consulting firm, a principal in an investment management and business valuation firm, a writer for a financial trade magazine and a general assignment newspaper and radio reporter. Mark has worked with public and private companies on matters related to business management, transition planning and strategy formulation since 1976. 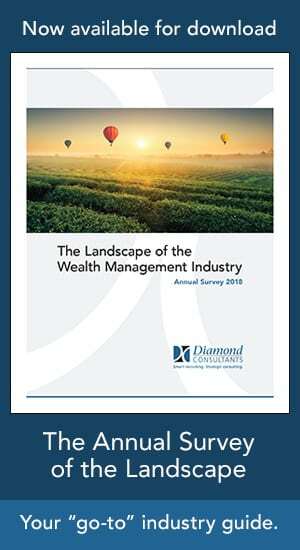 This includes hundreds of independent registered investment advisors, broker-dealers, investment managers, insurance companies and other financial services organizations in the United States, Australia, Europe, the Middle East and Canada. In a 2017 Investment Advisor survey, Mark was named The Most Influential Person in Financial Services, with almost half of respondents voting for him. For his contributions to the industry, Mark was named to the 2016 InvestmentNews’ Icons & Innovators list which recognizes those who have shaped and transformed the financial advice profession. In 2015, Private Asset Management magazine honored Mark with a Lifetime Achievement Award for his dedication, commitment and achievements in the industry. Mark has been recognized 14 times by, Investment Advisor (IA) magazine as one of the “25 Most Influential People” in the financial services industry and, in 2016, IA ranked Mark as number one in the “Top 7 Most Honored People in IA’s 25 History.” Mark received the 2015 Insiders Forum Leadership Award, and was named to the 2012 InvestmentNews “The Power 20” list. For eight consecutive years, Accounting Today recognized Mark as one of the “100 Most Influential” people in the accounting profession. He is the author of four books published by Bloomberg Press (John Wiley & Sons), Practice Made Perfect, How to Value, Buy or Sell a Financial Advisory Practice, Practice Made (More) Perfect and the latest, The Enduring Advisory Firm, co-authored with Kim Dellarocca, Global Head of Marketing for Asset Servicing and Technology at BNY Mellon. Mark has also been a regular columnist for Investment Advisor magazine and monthly contributor to ThinkAdvisor.com on management issues since 2005. Mark has previously served in a variety of community and industry organizations including the Rotary Club of Seattle, Travelers Aid Society, the Foundation for Financial Planning, the International Association for Financial Planning and the SIFMA Foundation. Most recently, Mark was named to the Advisory Council for the Center for Financial Planning whose mission is to promote diversity in the advisory profession.